this is a horrible, horrible hst system……..quickbooks on line just gets worse and worse. 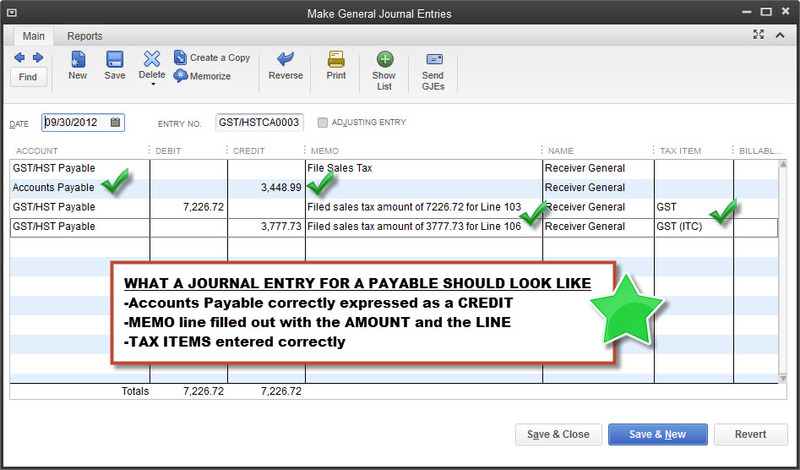 Not being able to adjust a journal entry that is incorrect, because the “system” generated it is absolutely ridiculous. sorry, Intuit, as hard as you may try to justify this version of QuickBooks…you need to go back to the drawing board. I also received an invoice for GST only. I entered amount of expense $0, but in this case I can not enter anything in the GST (ITC) window in the bottom right hand corner. That window is not active. Could you please advise me what to do? Maybe I need to change some setting? Hi, Irina. Can you confirm that you have GST turned on? Assuming you’re using desktop, it’s in the Preferences menu. Any ideas on how I could get around this? Hi, Jasmine. How frustrating! Are you talking about vendor bills? Or customer payments? That article you referred to is in reference to customers and receivables. If you’re referring to vendor bills, can you let me know more about how you’re entering the transactions? It sounds like you might have a corrupt transaction, but it’s hard to say without a bit more information. I think you need to ensure that you’re always entering some amount, even if it’s .00. QuickBooks doesn’t like lines that have an account but not an amount. Also, have you verified your data lately? Does it verify clean? Or are you prompted to rebuild? Hi, Marlene I just tried this in QBD 2016 and it worked for me. What version are you using? 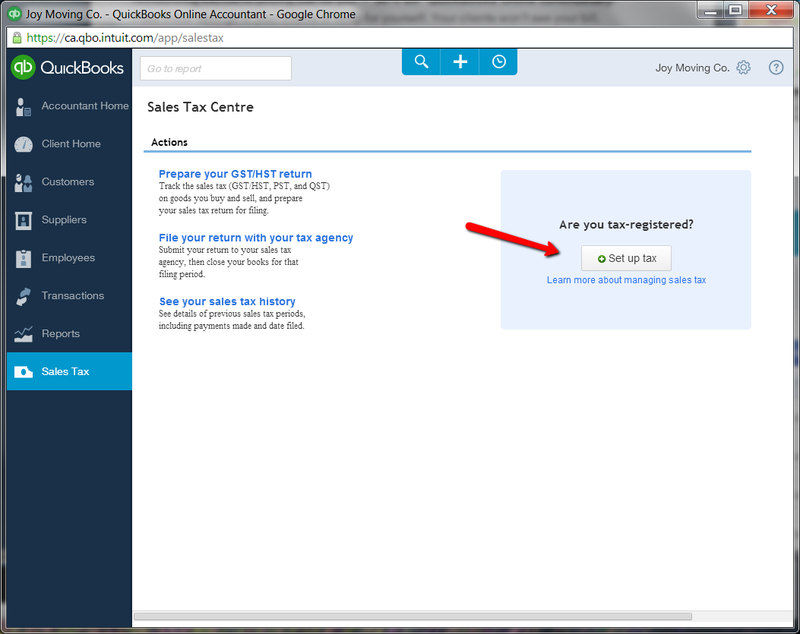 Has anyone solved this for Quickbooks Online, you can’t seem to enter just a GST amount unless there is an amount in the expense line and zero doesn’t work. I put 1 cent and then as able to edit the GST amount but obviously that puts things off? Hi, Kevin. You’re absolutely right. Here’s one way to do it. You’re going to use two lines in the body of the expense. On the first line, select an expense account, and enter the amount of the expense that triggers the GST. Mark it with the ‘GST’ tax code which will give you the right amount of sales tax. Then, on the second line, enter the same account, and then enter the same amount as you entered on the first line as a negative. Mark it with the ‘Zero-rated’ or ‘Exempt’ tax code (whichever is appropriate). By the way, I often use this exact method in QBD, because it very clearly shows the amount that triggered the GST. Hope that helps! Very odd! What tax code are you using? Are you trying the exact same tax code with a cheque and it’s working? Hey, I am using the same code, when I go to edit to adjust the gst because the suppliers invoice is a penny out, it will not let me edit the gst, the crazy part is once in awhile all of sudden it works, my accountant is confused also..
Can you shift+tab backwards to the GST field by any chance? I’d also check your Sales Tax preferences. In the Display Taxes box, deselect both options. And if both are already deselected, try checking one, then saving, and then deselecting it again, just to see if it will ‘jumpstart’ QuickBooks. Did you try the previous steps I outlined?